This is the public profile of Sebastian Curi, Additional information and high-resolution images are available for accredited press members, to access additional information about Sebastian Curi please login as a press member. 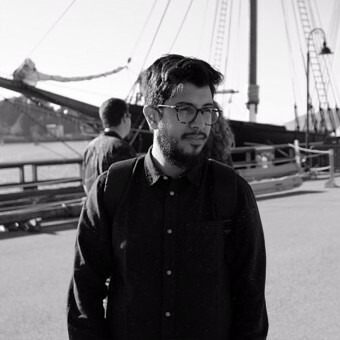 About Sebastian Curi : Sebastian Curi is a Los Angeles based Designer & Animation Director who loves the craft. He is a fan of variety, design process and taking risk on behalf of a better and different solution. His portfolio is a mix of different techniques, from 2D flat design, textured illustrations, colorful characters or 3D creative designs. His work has been highlighted on Motionographer, Promax Hot Spot, Wine after Coffe, Motion Served, Changethethougt and IDN among others. He had the privilege of working with award winning studios like Plenty, Le Cube and Buck LA, where he is working actually. 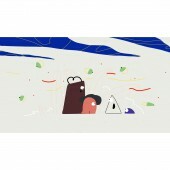 My work has been highlighted on It's Nice That, Motionographer, Promax Hot Spot, Wine after Coffe, Stash Media, Fubiz, Behance, Changethethougt and IDN Magazine among others. 2017 - BLEND FEST. Vancouver, Canada. Small talk about Tip and Tricks shared with a panel of designers and animators. 2014 - TRIMARCHI. Buenos Aires, Argentina. Conference as an Art Director at Plenty about design process and Animation. 2014 - Palermo University . Buenos Aires. Argentina. Conference as an Art Director at Plenty about design process and Animation. Music, Fishing, reading books and going to new restaurants. Nickelodeon, Apple, Facebook, Red Bull Media House, Sonos, MTV, FOX, Vodafone, IBM, Corona, History Channel, AXN, HBO, BIC, Samsung, Sony, Nat Geo. Press Members: Request an exclusive interview with Sebastian Curi.